Hailo and British Airways team up – Bonus Avios ahoy! 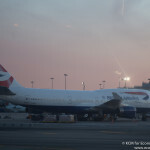 British Airways launches a 40% discount on Avios redemptions in World Traveller – is it worth it? Th BA 50% bonus Avios sale… Worth it? The New Avios and Tier Point earning structure for flyers: How bad is it? Is the BA Avios Economy sale that bad? It’s the Avios Sale! 50% off Avios prices… but not as good as it could be.